Are you ready for some DIY plant-based kitchen fun? There’s simply no comparison to the prepackaged stuff. Once you get the hang of it you won’t ever go back to those cartons! There’s also no comparison when it comes to nutrition. 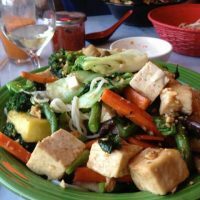 If you’re curious, check out “Three Great Reasons to Make Your Own Almond and Other Plant-Based Milk.” You’ll find that mass-produced plant-based milk is not all that healthy after all. In fact, the little-known dirty truth is that the popular store brands of plant-based milk are mostly water along with thickeners and some added vitamins and minerals. 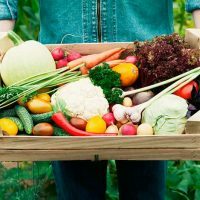 There are some newer high-end “boutique” brands such as Elmhurst, Malk Organics, New Barn Organics, Ripple and Three Trees which have a better ingredient and nutritional profile. However, these brands are considerably more expensive, for instance, a quart of Elmhurst almond milk costs about $6 versus a half-gallon of Silk brand for about $4. As well, at least right now, these newer brands tend to be available only at select retailers or online. Depending on where you live, you may not be able to find them in a store near you. It’s challenging to do an exact cost comparison between homemade and store-bought milk because homemade plant milk contains a cup of nuts, seeds or grain per quart, whereas store-bought half-gallons, according to industry insiders, have less than a handful of nuts or seeds. We’re really comparing apples and oranges here, as they say, two completely different products in terms of ingredients and nutrition. 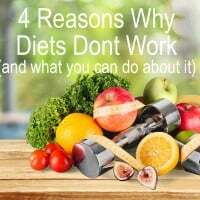 However, there are ways to keep costs down, such as using lower-cost ingredients and buying in bulk. Grains such as oats and brown rice are very affordable – even organic homemade rice or oat milk should cost considerably less than a dollar per quart. You will save money by making these varieties at home because store-bought grain milk tends to have a similar price point as commercial nut and seed milk. Despite the low-cost of these grains, the savings won’t be passed on to you at the store. With homemade nut and see milk costs are going to vary considerably depending on which nuts or seeds you’re using. For instance, hemp seeds are way more expensive than sunflower seeds, and macadamia nuts and walnuts are considerably more costly than almonds. Also keep in mind that organic nuts and seeds, despite their health and environmental advantages, are going to cost more than conventional. 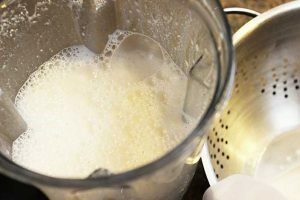 Another option if you’re trying to economize is to dilute your homemade milk a bit, to get more milk out of the same cup of ingredients. You’ll still be ahead of the curve nutritionally compared to the mass market store brands such as Westsoy or Silk. For the best prices on nuts, seeds, and grains shop warehouse stores such as Costco, the bulk bins at natural food stores (and perhaps your local grocery store as well) and of course Amazon.com, where you can choose from a variety of brands and price points. Feel free to get creative and experiment with these recipes! There’s no need to rely on just one main milk ingredient like the store brands do. Try almond-hazelnut milk, sunflower-cashew milk, almond-pecan-walnut or whatever combination sounds good to you. This is an economical way to incorporate the flavor and nutrition of some of the costlier nuts and seeds without breaking the bank. You can also experiment with different kinds of flavors and flavor combinations, such as cinnamon, nutmeg, extra vanilla, cocoa powder and mint or fruits such as berries and mango. How about some strawberry almond milk? The only limit is your imagination. 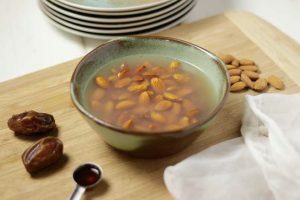 You can make nut milk with almost any nut – almonds, cashews, pistachios, hazelnuts, and even macadamia nuts, but the most commonly-used are cashews and almonds. 1. Soak the nuts in water to cover in the fridge overnight or up to 24 hours. 2. 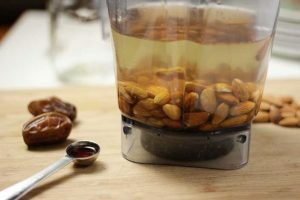 Drain and rinse the nuts and add them with the water into your high-powered blender. You can use a “regular” blender, but you may have to blend it longer and it may not be blended as finely. 3. Add the Medjool dates, salt, and vanilla, if using. 4. Blend on high for several minutes until the mixture becomes smooth and the nuts are finely ground. 5. Pour the blended milk into a nut bag over a large bowl. 6. With your hands, carefully “milk” the bag to release the liquid into the bowl until all of it is strained. 7. Carefully pour the milk into your container. Note: If you’re using nut milk for a savory dish, leave out the dates and vanilla. You can make plant milk out of pumpkin, hemp or sunflower seeds or a mixture of the three. Although you don’t need to soak seeds to since they blend up quite easily, soaking does help reduce the phytic acid. Soak the seeds overnight or for a few hours. Drain off the excess water and put the seeds in a blender. You don’t need to use a high-powered blender for this. Add 4 cups water, vanilla, dates and a pinch of sea salt. Blend on high until the mixture becomes creamy. If it seems smooth enough for you, you may not need to strain the milk. Otherwise, strain the liquid through a nut milk bag for complete smoothness. Note: If you’re using seed milk for a savory dish, leave out the dates and vanilla. 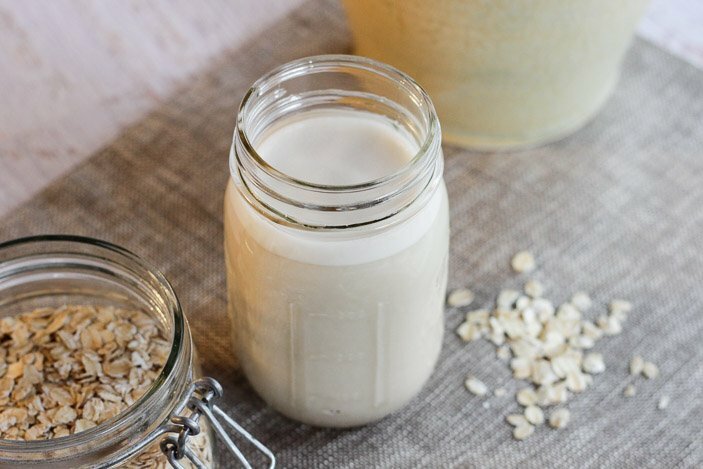 If you want to keep it super easy, try using oats for your homemade plant milk. You might have rolled oats in your pantry already. But you can also make plant milk from rice and quinoa. 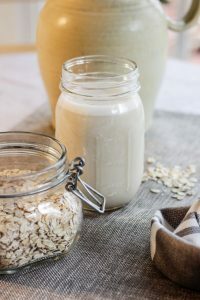 The soaking time for oats is short, just 30 minutes, so you can whip it up in a pinch if you’re in need of delicious and good-for-you plant milk. Soaking can help with the sliminess (yep, it’s true) that comes from the soluble fiber in the oats. Just remember that soluble fiber is one of the things that so nutritious about oats because it helps reduce cholesterol. If you make plant milk made from rice and quinoa, you’ll need to cook the grains first. Drain the oats and rinse in a strainer under running water to remove the slime. If using rice or quinoa, add to the blender. Add the rinsed oats, date, vanilla extract and water to a blender. You don’t need to use a high-powered blender for this. Strain through a nut bag, if preferred, and add to your container. Shake when you’re going to use it if it’s been sitting for a time. If it’s too thick you can add more water to thin it. If you’re using oat milk for a savory dish, leave out the dates and vanilla. Making homemade vegan milk does generate quite a bit of pulp. 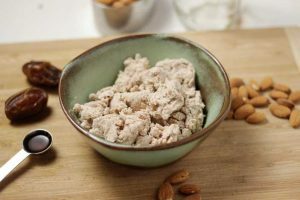 A quick google search, “What to Do With Almond Pulp,” brings up a variety of cracker recipes, most of which should be appropriate for other kinds of nut and seed pulps, or you can simply specify the type of nut or seed pulp recipes you’re looking for. Here’s two that look especially good: Oil-free Almond Pulp Crackers and very low-oil Almond Pulp Energy Bites. *This post contains affiliate links for products that I use and love. Anything you purchase will help to support Plant-Based Cooking at no extra cost to you. Excellent information! Thank you so much. I am going to move to making my own plant milks. Your blog has become a main source of information and recipes for me – I enjoy the recipes and trust them! Very helpful and I am for sure on board with this! I’ve made several different kinds of plant-based milk, and the combination of cashew and oats is my favorite! How long do you think these nut milks last in the refrigerator? That sounds like a delicious combo. It should last at least we week, maybe a few days more. Just made my first batch of almond milk. It is awesome. So rich, creamy and delicious. What a HUGE difference compared to commercial varieties, which I detest. I like the idea one commenter had for an cashew/oat milk. Thank you for such an informative and timely post. You’re welcome. 🙂 I’m so glad you gave it a try! It does just tastes so much better. Good news! Today, I purchased some non-organic Almonds at Costco. It said “steam pasteurized” on the front of the package. Super, that is good news!